Air pollution isn’t just an outdoor concern. 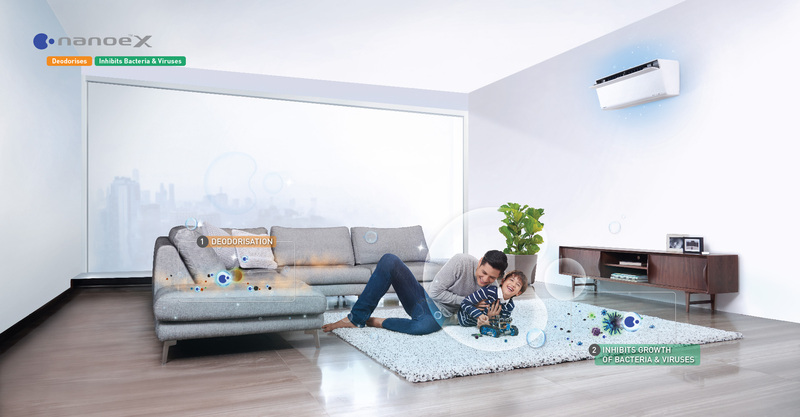 People are spending more time indoors, making indoor air quality a more serious issue than most people realise. 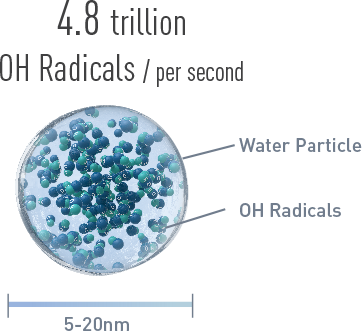 nanoe™ is nano-sized electrostatic atomised water particles that are rich in OH radicals. 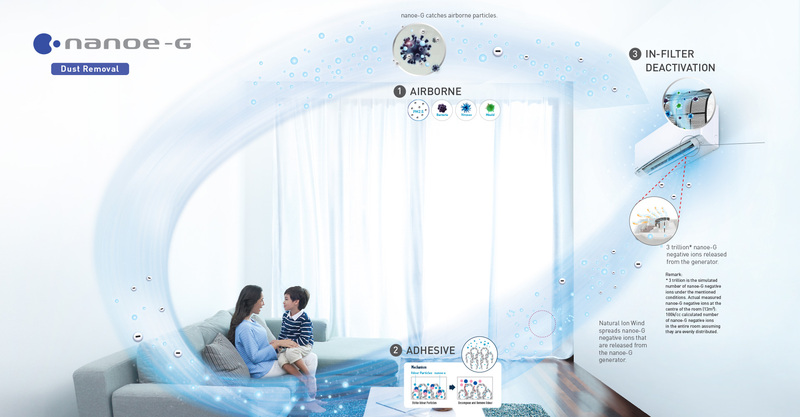 nanoe™ is generated from moisture in the air that contains highly reactive components known as hydroxyl (OH) radicals. Its effectiveness on bacteria, viruses and odour compounds inhibition depends on the number of OH radical, which is generated at the rate of 480 billion per second. 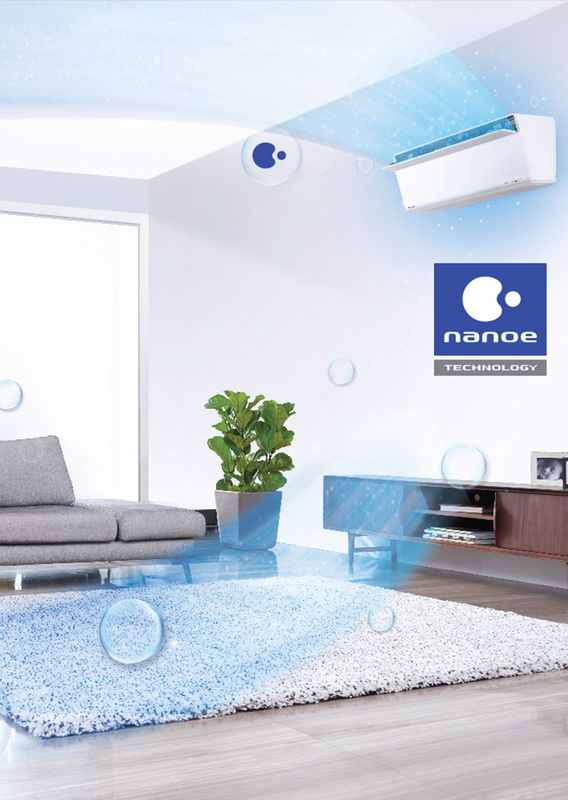 nanoe™ Technology is able to function even when the cooling is off to continue purifying and deodorising your living space. 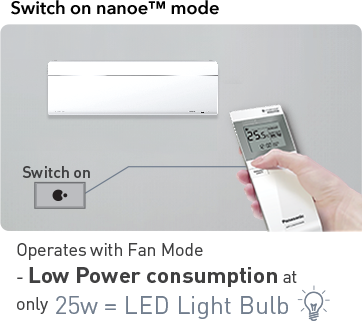 You don't have to worry about the hefty electricity bills as it only consumes a minimum amount of energy. Clean air is essential to healthy living, it's important to take care of the air we breathe. 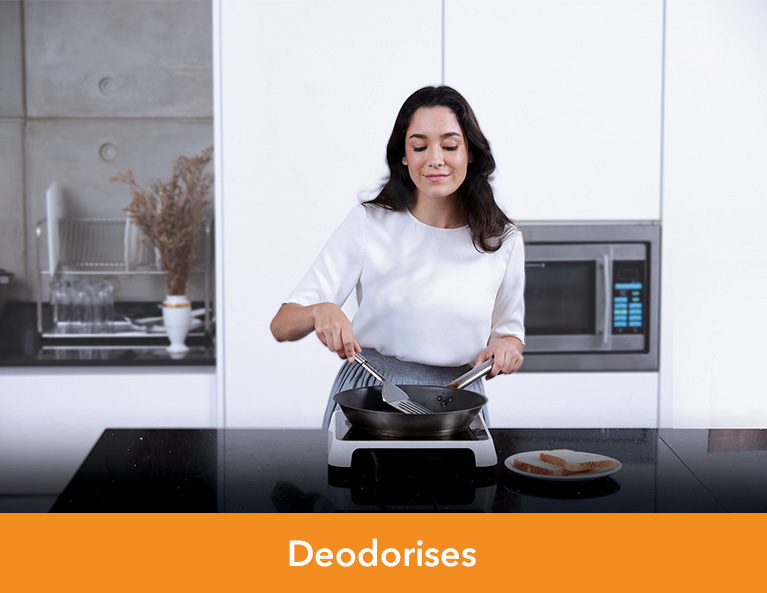 nanoe™ X deodorises strong and unpleasant odours that cause uneasiness so you can enjoy a more pleasant living space for greater well-being. 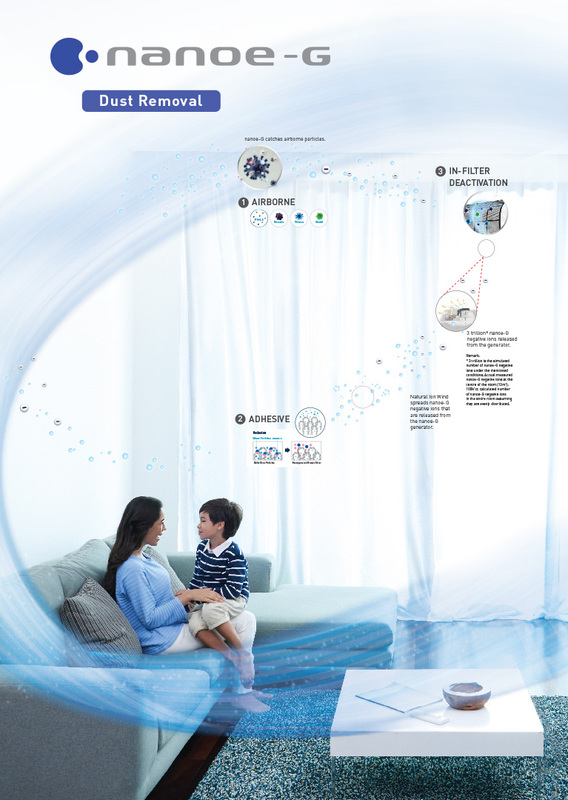 nanoe™ X particles, which are smaller than steam particles, easily infiltrate deep into fabrics where they attack bacteria and substances that cause odours, which will then speedily be removed to a hardly-noticeable level. 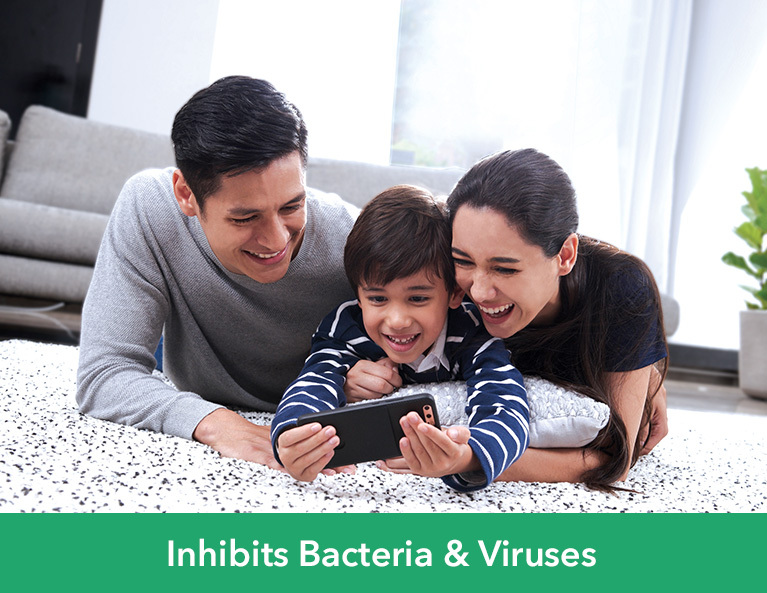 nanoe™ X inhibits the growth of allergens, bacteria and viruses in your home, maintaining a cleaner home for your children. 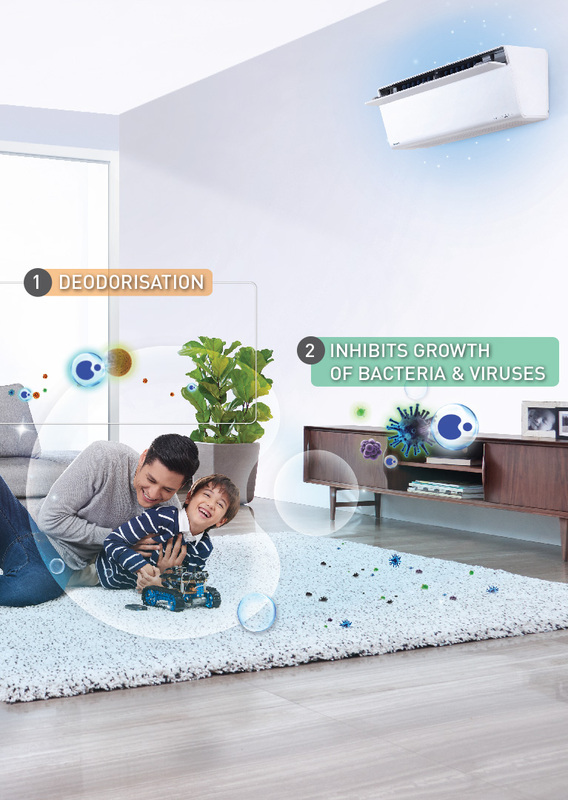 nanoe™ X now with significant increase in the number of OH radicals can further inhibit and control the spread of major allergens derived from mites, animals, insects and fungi. 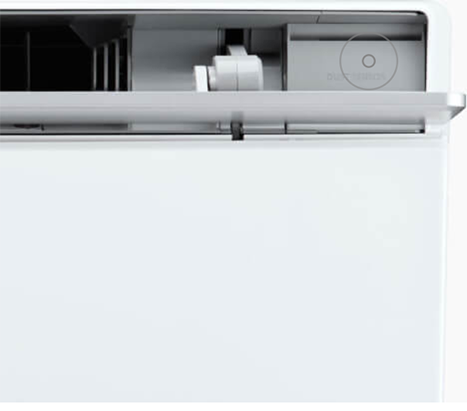 nanoe-G air purification system removes microorganisms and dust particles as small as PM2.5 from the air by trapping them in the filter for deactivation. 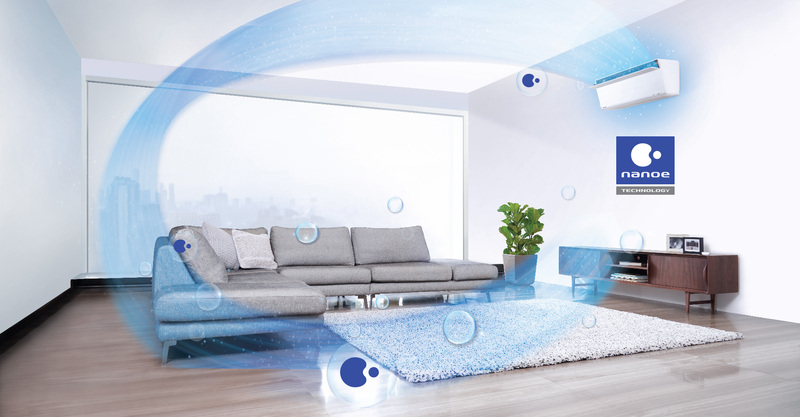 Purify your living environment for better breathing. 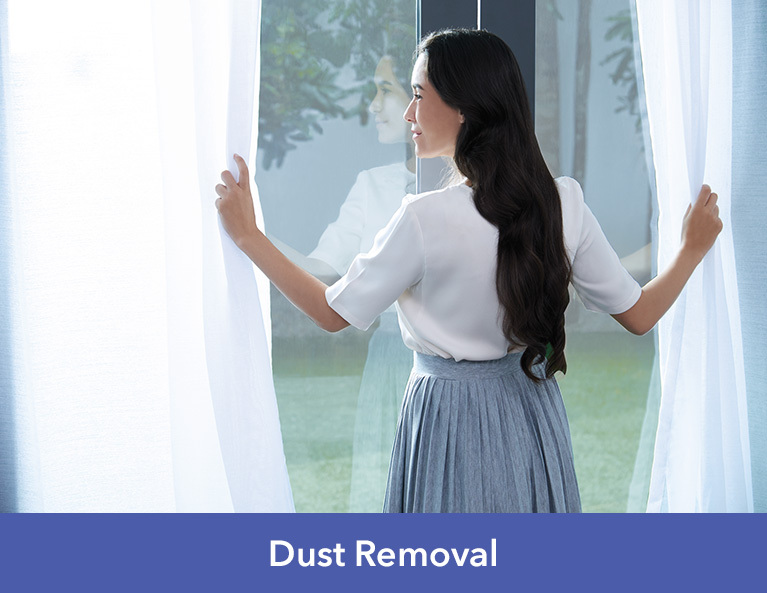 Removes airborne particles down to PM2.5*1. 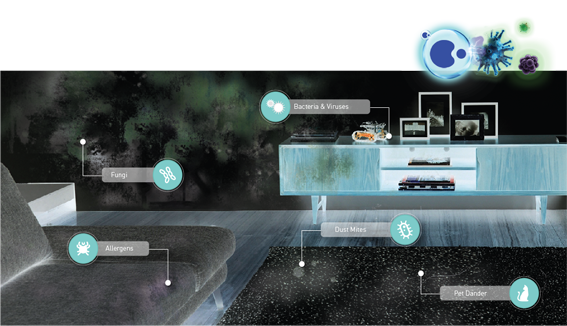 These particles*2 include bacteria, viruses and mould. Nanoe-G releases negative ions which attach to particles as small as PM2.5, the measuring benchmark of air quality monitoring agencies. These particles are then brought back to the positively-charged ﬁlter and removed from the air. Airborne pollutants sized at less than 2.5 micrometers (PM2.5) can easily enter into our lungs, posing potential health risks. 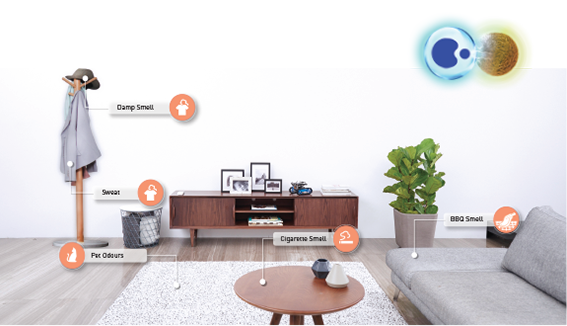 The DUST SENSOR automatically switches on nanoe-G to purify the air whenever a high level of particle concentration is detected and also constantly monitors particle concentration levels in the room.